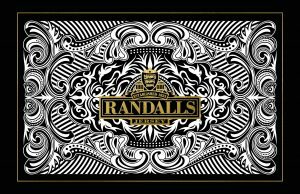 Our Randalls Loyalty Card has been created to reward you every time you eat or drink in one of our selected outlets. Every time you buy food or drink, simply present your card when paying and we will credit your account with a minimum of 10 pence (10% equivalent) for every £1 you spend with us. So for example, if your bill totals £20, you’ll earn an impressive £2 in return. You can then use this credit anytime in the future at any of our participating outlets to pay for part or all of your bill. We also want to reward you for using our pubs and restaurants, so the more you spend throughout the year, the more you earn…up to an amazing 20%! Click here to view participating outlets. a company at social events and when entertaining clients.